Spirax Sarco regulators are suitable for steam applications and offer a wide choice of control options. Spirax Sarco Regulators are the best choice where downstream pressure or temperature must be accurately controlled regardless of variations in upstream pressure and steam load condition. Spirax Sarco pressure regulators are available for use on water, steam, and gases in a wide variety of materials including gunmetal, SG iron, cast steel and stainless steel. Sizes range from 1/2" to 4" and are suitable for pressures up to 600 psi. The Spirax Sarco direct operated pressure regulators are for use on steam, liquids, compressed air and other gases. The compact design makes it ideal for point of use installations, providing accurate control of pressure under stable load conditions offering a cost effective solution. Spirax Sarco's range of self acting temperature control systems is ideal for applications demanding rugged reliability and low maintenance. They are particularly suited to harsh or hazardous environments. 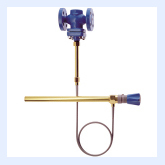 The Spirax Sarco Direct Operated Temperature Regulators are for use on steam and liquid applications. 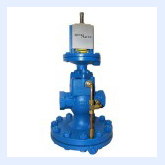 The regulators give stable, modulating control within close tolerances. On storage and constant load applications they will control at set value. On variable load applications they will normally operate within a very narrow temperature band. Like direct acting pressure reducing valves, these valves are self-powered. Pilot operation provides accurate control under large load change conditions. Available in iron, cast steel and stainless steel, sizes 1/2" to 8". Accurate control of pressure with choice of color coded springs. Stainless steel internals for durability and resistance to corrosion. Wide range of screwed and flanged connections. Patanted self scrubbing guide for long, trouble-free service. Fatigue-tested diaphragm designed without a piston to prevent danger of sticking. These regulators are the best choice where downstream pressure must be accurately controlled regardless of variations in upstream pressure and steam load condition. Spirax Sarco pilot operated pressure regulators are suitable for steam applications and offer a wide choice of control options. Like self-acting temperature controls systems these valves are self-powered. Pilot operation is ideal for applications with constant loads. They are particularly suited for harsh and hazardous environments. The Spirax Sarco 25-Series are a versatile family of self acting temperature regulators with control pilots and interchangeable main valves for most steam applications. Options include temperature control (25T), combined temperature control with electrical on/off override (25TE). Designed with the user in mind, the 25-Series offers versatility and simplicity. The Spirax Sarco range of Pilot Operated Temperature Regulators have been developed for close control of process temperature applications where steam is the chosen energy fluid. An important feature in the Spirax Sarco pilot operated range of temperature regulators is the ability to interchange or combine two or more pilots on the same regulator body. This unique feature permits, for example, remote on/off control together with temperature control. These variations are available factory fitted but can easily be added on site. 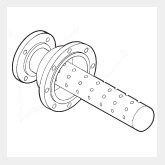 The D Series Noise Diffuser is designed to reduce Pressure Reducing Valve noise generation. The diffuser breaks up the normal exit turbulance of the steam flow using an engineered orifice pattern in a pipe nozzle inserted on the downstream side of a pressure reducing valve. The amount of noise level reduction produced by the diffuser will be approximately 15 dBA. 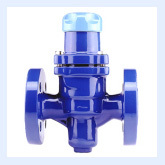 Pressure drop through the diffuser will not exceed 1% of line pressure upstream of the pressure reducing valve. The Spirax Sarco range of external noise attenuators are for use with any control valve or regulator. They can reduce noise of up to 35 dBa. Mechanical damage to equipment and surroundings. Loss of product and production. Injury and loss of life. 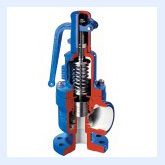 Safety valves protect people, plant, and profit, so there should be no compromise on quality when selecting a valve. 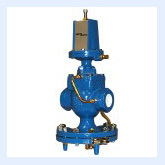 Spirax Sarco safety valves are modern in design, available in a wide range of inlet sizes and body materials and are approved by National Board to ASME Section I and VIII.